Aaron Kesselheim M.D., J.D., M.P.H. Award Year: 2009 How can the engine of pharmaceutical innovation in the United States, sluggish now despite substantial investment, be jump-started again? Whether the right pathway involves increased government support of basic research or a transformation of industry product development and clinical trial work, patent law will play a key role. Aaron S. Kesselheim, M.D., J.D., M.P.H., explores a number of questions related to this issue, including how basic, translational, and product-development research combine to create breakthrough drugs and how patent-based incentives facilitate or impede drug development. His project, Sources of Transformative Innovation in Medication Development, will identify the most transformative drugs that have emerged in the past 25 years, examine their scientific origins, and assess the intellectual, social, and financial factors that influenced their development. Dr. Kesselheim also will analyze whether patents have rewarded the most important contributors to new pharmaceutical breakthrough products and test an alternative to the current patent system. His project addresses whether new legal or resource-allocation strategies are needed to reinvigorate pharmaceutical innovation and how possible reforms might encourage drug development, apportion rewards more appropriately, and help contain research costs. Aaron S. Kesselheim is an associate professor of medicine at Harvard Medical School, based in the division of pharmacoepidemiology and pharmacoeconomics, department of medicine, Brigham and Women?s Hospital (BWH). He graduated from Harvard College and received his postgraduate training at the University of Pennsylvania School of Medicine and Law School, and most recently at the Harvard School of Public Health. 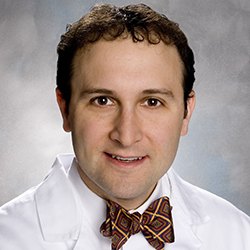 He is board-certified in internal medicine, serves as a primary care physician, and attends on the general medicine inpatient service at BWH. He is a member of the New York State Bar and is a patent attorney. His research focuses on the effects of intellectual property laws and regulatory policies on pharmaceutical development, the drug approval process, and the costs, availability, and use of prescription drugs both domestically and in resource-poor settings. He received a career development award from the Agency for Healthcare Research and Quality to study comparative evidence, regulation, and trends related to prescribing off-label drugs. He has contributed commissioned works on market-based incentives for pharmaceutical R&D to the Institute of Medicine and the Robert Wood Johnson Public Health Law Research Program. He has also investigated other issues at the intersection of law and public health, including health care fraud, expert testimony in malpractice cases, and insurance reimbursement practices. His numerous articles and book chapters related to these topics have appeared in leading medical and health policy journals, including the New England Journal of Medicine, JAMA, and Health Affairs. In 2010, he received the Alice S. Hersh New Investigator Award from AcademyHealth, the main professional organization for health services/policy research. The Hersh award is given annually to an outstanding health services researcher under age 40 in the U.S. In addition to his research, Dr. Kesselheim has taught on law and public health issues at Harvard Medical School, Law School, and the School of Public Health. He has testified before the U.S. House of Representatives and addressed different state legislatures on drug policy matters, and he has consulted for the federal government?s clinical trials registration website (ClinicalTrials.gov). He has also served as an ad hoc peer reviewer for numerous medical and scientific journals (earning a commendation for his work from Annals of Internal Medicine in 2009), the Harvard Law Review, and the London School of Economics. Darrow, J.J., Avorn, J., Kesselheim, A.S. New FDA Breakthrough-Drug Category — Implications for Patients. New England Journal of Medicine, 2014; 370:1252-1258. Kesselheim S, Avorn J. The most transformative drugs of the past 25 years: a survey of physicians. Nature Reviews: Drug Discovery, 2013; 12:425-431. Amin T, Kesselheim, AS. Secondary patenting could extend US market exclusivity of HIV drugs Norvir and Kaletra through 2028. Health Affairs, 2012;31:2286-2294. Xu S, Avorn J, Kesselheim AS. Origins of medical innovation: the case of coronary artery stents. Circulation: Cardiovascular Quality and Outcomes, 2012;5(6):743-749. Kramer D, Kesselheim AS. User fees and beyond — the FDA Safety and Innovation Act of 2012. New England Journal of Medicine, 2012;367:1277-1279. Avorn, J., Kesselheim, A.S. A Hemorrhage of Off-Label Use. Annals of Internal Medicine, Apr 19 2011, 154(8): 566-576. Kesselheim, A. An Empirical Review of Major Legislation Affecting Drug Development: Past Experiences, Effects, and Unintended Consequences. Milbank Quarterly, 2011, 89(3): 450-502. Kesselheim, A. Characteristics of Clinical Trials to Support Approval of Orphan vs Nonorphan Drugs for Cancer. JAMA, Jun 8 2011, 305(22): 2320-6. Kesselheim, A., Cresswell, K., Phansalkar, S., Bates, D, Sheikh, A. Clinical Decision Support Systems Could Be Modified to Reduce 'Alert Fatigue' While Still Minimizing the Risk of Litigation. Health Affairs, Dec 2011, 30(12): 2243-2251. Austad, K., Kesselheim, A. Conflict of Interest Disclosure in Early Education of Medical Students. JAMA, Sep 7 2011, 306(9): 991-992. Kesselheim, A., Darby, D., Studdert, D., Glynn, R., Levin, R., Avorn, J. False Claims Act Prosecution Did Not Deter Off-Label Drug Use in the Case of Neurontin. Health Affairs, Dec 2011, 30(12): 2318-2327. Kesselheim, A.S., Outterson, M.K. Improving Antibiotic Markets for Long-term Sustainability. Yale J of Health Policy & Ethics, Winter 2011, 11(1): 101-67. Carpenter, D., Kesselheim, A., Joffe, S. Reputation and Precedent in the Bevacizumab Decision. NEJM, Jul 14 2011, 365: e3. Kesselheim, A., Austad, K. Residents: Workers or Students in the Eyes of the Law? NEJM, Feb 24 2011, 364(8): 697-699. Kesselheim, A. Safety, Supply, and SuitsÑLitigation and the Vaccine Industry. NEJM, Apr 21 2011, 364(16): 1485-87. Kesselheim, A.S., Rajkumar, R. Who Owns Federally Funded Research? The Supreme Court and the Bayh-Dole Act. NEJM, September, 2011, 365: 1167-69. Greene, J.A., Kesselheim, A.S. Why Do the Same Drugs Look Different? Pills, Trade Dress, and Public Health. NEJM, Jul 2011, 365: 83-9. Kesselheim, A.S., Outterson, K. Fighting Antibiotic Resistance: Marrying New Financial Incentives to Meeting Public Health Goals. Health Affairs, Sep 2010, 29(9): 1689-96. Kesselheim, A.S., Solomon, D.H. Incentives for Drug Development--The Curious Case of Colchicine. NEJM, Jun 3 2010, 362(22): 2045-7. Chokshi, D., Avorn, J., Kesselheim, A. Techwatch: Designing Comparative Effectiveness Research on Prescription Drugs: Lessons from the Literature. Health Affairs, Oct 2010, 29(10): 1842-8. Kesselheim, A.S. Using Market-Exclusivity Incentives to Promote Pharmaceutical Innovation. NEJM, Nov 4 2010, 363(19): 1855-62.